To handle and review invoice and conduct payment of invoice as per approved invoice request and HCML guideline, in order to ensure all HCML obligation related to invoicing are fulfilled accordingly. Bachelor degree (S1) in Accounting and Tax or equivalent. Minimum 3 years experiences, as Account Payable and Tax. To conduct studies related to safety measures and provide recommendations to support safe and responsible execution of all company’s activities and to ensure compliance to stakeholders’ policies and government regulations. 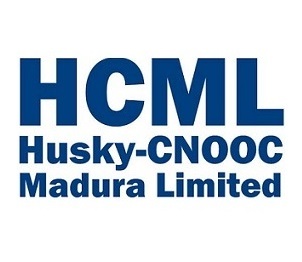 Develop and implement safety procedures on safety engineering analysis and recommendations to ensure all safety policies, guidelines and procedures in HCML are implemented within HCML activities. Execute technical safety assessments, (Hazard Identification) HAZID, (Hazard Operations) HAZOP, risk assessments to ensure accuracy of technical safety assessments, HAZID, HAZOP, and risk assessments. Conduct studies and provide recommendations on actions regarding safety measures to support operational activities that include: exploration, development, and production. Monitor and assess implementation of safety engineering requirements across all functions to ensure accuracy of the implementation. Conduct socialization on safety procedures and policies to ensure safety awareness across the company. Provide recommendations on safety management system to support conformation of safety management systems to certification standards and company policies. Involve in internal and external safety audits and follow up of action plans to support accuracy of safety audit results and enable improvement on safety measures. Support coordination and communication regarding safety policies, guidelines, procedures, programs, studies, analyses, and recommendations to partners (HCML JV) and SKK Migas. 3 - 5 years experiences in Safety Engineering or Process Engineering, preferably in Oil and Gas industry. Familiar with Safety software, such as (not limited to) OPEN HYSYS, PHAST, Bow Tie XP, and TNO Risk. Having knowledge in Technical Oil and Gas exploration, development, and product knowledge. Having knowledge in Loss Prevention, P&ID, Managerial and Communication skill. 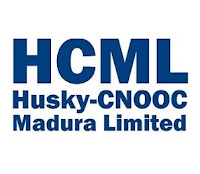 Thanks for reading Husky-CNOOC Madura Limited Jobs: 2 Positions. Please share...!